Home Reviews SK-II SK-II Review: What exactly is Facial Treatment Essence and how to use it? SK-II Review: What exactly is Facial Treatment Essence and how to use it? My Mother, sister and I have been users of SK-II ever since my Dad bought Mom a bottle of SK-II Facial Treatment Essence for Christmas gift about 7 years ago. I remember how excited we were to open the Miracle Water bottle and we sisters insisted to share it with Mommy cause of all the goodness we have heard about it. I had been sharing a bottle with the 2 other women in the house for the past 7 years before I got married and moved out. We even had a system in place - we took turns to replenish a bottle when it ran out! 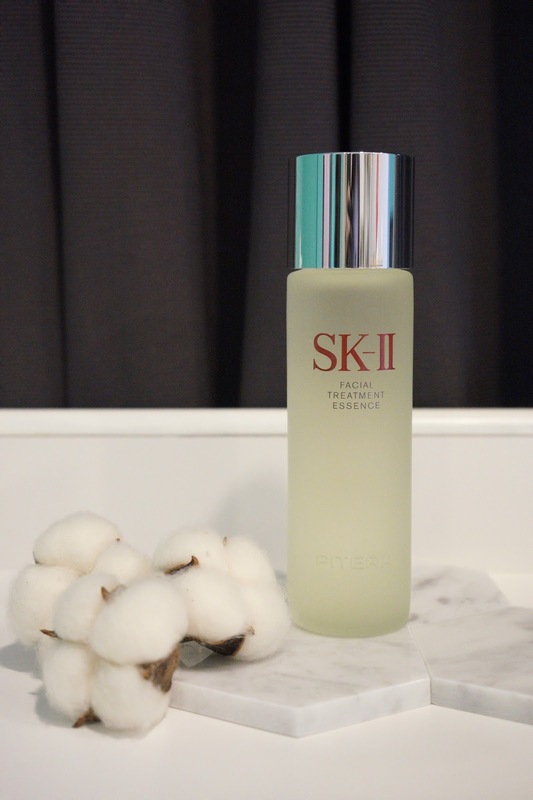 So you can imagine my excitement when the brand I've been using for years approached me and gave me a new bottle of the SK-II Facial Treatment Essence to do a review on how it works. Since I have already been a user, I thought it was a great opportunity to share how it has been working on my skin, how I use it and exactly why everyone loves it! So first things first, I’m sure many of you are wondering what exactly is an essence? Essences are lightweight and less concentrated as compared to serums. Specifically targets wrinkles, fine lines and uneven skin tones. Essences are generally used after a toner and before a moisturizer to add another layer of hydration. You may now ask what about ampoule? Is it the same? Ampoules do belong to the same family as essences and serums. However, an ampoule is a serum with higher concentration of active ingredients. As ampoules are rich, it is more for suitable on days where the skin needs more help. The texture of both are definitely different too. Essences are less sticky and absorbs very quickly, deeply penetrating into the skin. Now, did you know that the Facial Treatment Essence has been around for more than 35 years now? It is undoubtedly SK-II's signature and most awarded bestseller - and no wonder, because it is packed with more than 90% PITERA™, a natural bio-ingredient containing vitamins, amino acids, and minerals. My skincare regime with the Facial Treatment Essence is simple. First, I cleanse my face. Then, I put about a 50 cent coin of Facial Treatment Essence on my palm and pat it all around my face. Starting with my cheeks, nose, forehead, chin and lastly my neck. Some people prefer to use a cotton pad to go over the face but I personally prefer to use clean hands. After the essence is applied, I complete my skincare regime with a moisturizer. I repeat the same regime Day and Night! The essence penetrates quickly into my skin, leaving it soft and non-sticky- something very important to me when I choose my skincare products. The key ingredient in the Facial Treatment Essence, Pitera, contains components that are similar to natural moisturizing factors found in healthy skin! This allows for deep hydration, allowing skin to radiate. Is it suitable for all skin types including sensitive skin? SK-II Facial Treatment Essence is suitable for all skin types, including sensitive skin. I can say so because I've pretty sensitive skin and I’ve been using it for years. 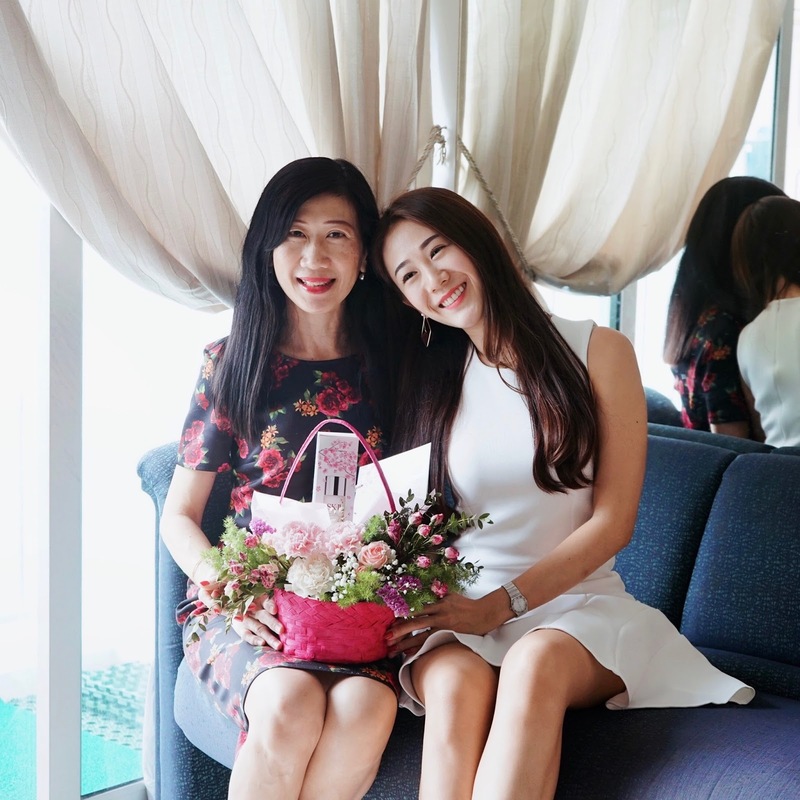 However, there is a small percentage of normal and sensitive skin users who had experienced allergic reactions because of the natural ingredients in the SK-II Facial Treatment Essence. If you have sensitive skin, do check with your dermatologist first before using! Now that I've moved out and no longer share a bottle of SK-II Facial Treatment Essence with my mother and sister, I now own a whole bottle by myself- no sharing required! HAHA! No more being nagged about "why you use so much!!" And if you’re curious about how the SK-II Facial Treatment Essence works for my sister, my mom and myself: The 3 of us have completely different skin types! Mommy has oily skin, I have dry skin while my sister Zonia has combination dry-oily skin. 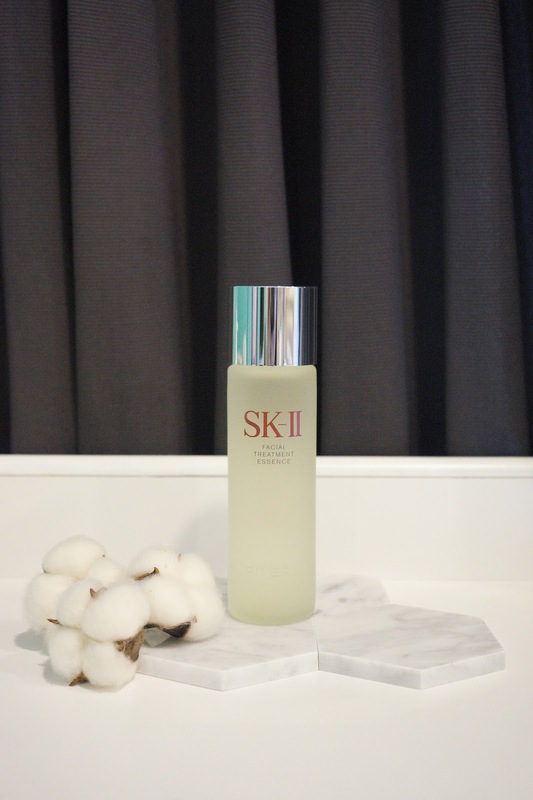 Despite all of us having such different skin types, the SK-II Facial Treatment Essence really works so well for all of us and we have seen a remarkable improvement in our skin’s texture, radiance and firmness. This is something we all look for in our skincare, don't we? I will definitely recommend it to my friends regardless of their skin type. If you have not tried a bottle of this Miracle Water yourself, I’d definitely recommend you to do so. Some people have told me that they are reluctant on trying it because of the price, BUT I found out they actually have a set called the Pitera Welcome Set! It includes a small Facial Treatment Essence (75ml), a small Facial Treatment Clear Lotion (30ml) and a R.N.A Power Radical New Age (15g). Super worth it for the price because you actually get to try all 3 products! 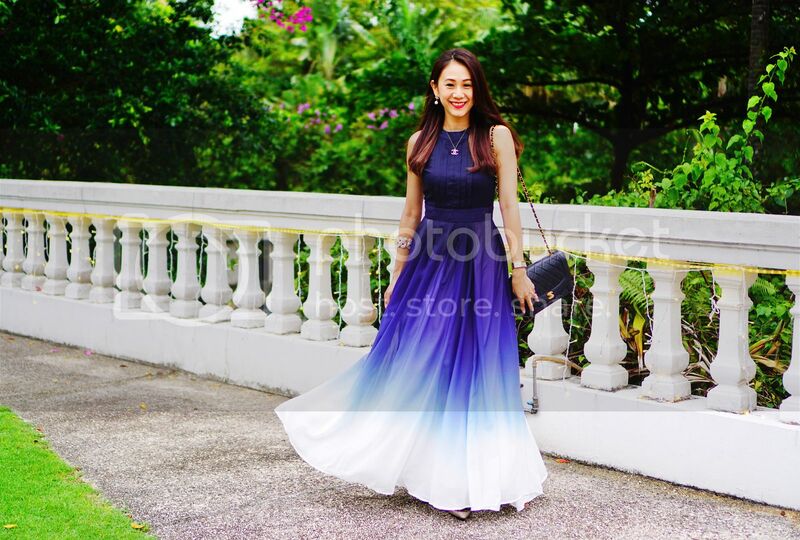 I think it makes a great gift for yourself or for someone special too. You can get your hands on a bottle of SK-II Facial Treatment Essence at all leading departmental stores in Singapore. There is no need to wait till you are travelling to get it from SK-II Duty-Free. See here for the list of stores!